No trophy says “I have conquered this game” quite like ripping off the Hunter Masks of the toughest enemies in The Division 2. Hunters are a secretive bunch, all level 35, and if they’re ever summoned into the ether, they will try to humiliate you. But that’s not going to happen, because now you’re here reading our The Division 2 Hunter Masks guide, where we’ve documented exactly where to find each of the 12 hunters so you can grab their lovely masks for your own collection. Want to know everything about the various different systems in The Division 2? Head on over to our The Division 2 guide hub to find lots more information about the game. More will be discovered as Agents pile into Washington D.C., so stay frosty. 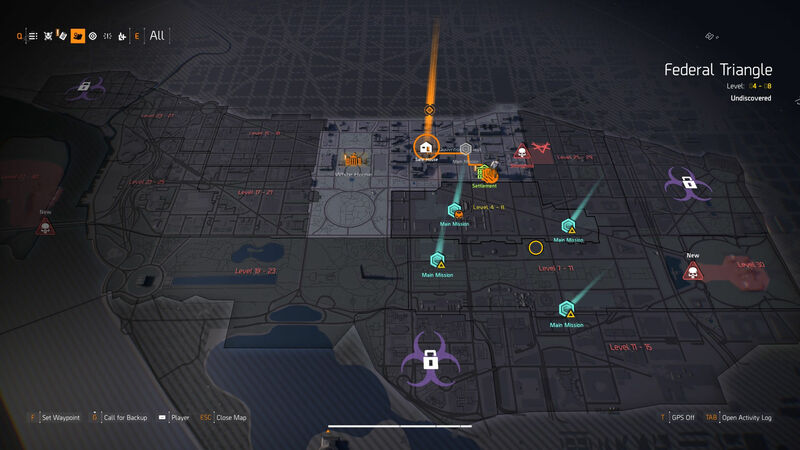 If you’re looking for information about the pre-endgame skills of The Division 2, head on over to our The Division 2 best skills guide for the best skills to unlock and equip, while our The Division 2 best perks guide will go into more detail about the perks themselves and which ones are best to unlock early. To aid your quest in tracking down each of The Division 2’s Masks, this guide will go over the requirements to unlock the chance to hunt these hunters, as well as the locations for all 12 hunter masks you can unlock by felling these powerful enemies. So you may want to grab those nifty little masks for use in Dark Zones – more on those in our The Division 2 Dark Zone guide – or other multiplayer modes. However you will need to do a little bit of legwork in order to even see the Hunters. To unleash them into the streets of Washington D.C., you will need to party up with someone who is Level 30, or be at Level 30 yourself. Our The Division 2 How to level up fast guide should help with that. Each hunter will be at level 35, so you’ll probably need a few people to even take them down. Below then are the locations and steps you need to take to kill all 12 of the hunters and grab the full set of masks. Flooded Levee control point – head south-east of this control point edge to find a hasty burial site. Look towards the shipping containers to see the burial site. North-east of the Washington Monument – Head to where the two circular paths diverge on the map just north-east of the monument and head a little way to the west. Face the monument and you should see the second site. South-west of the Washington Monument – You’ll want the circular path leading towards the monument in the south-west. Along the way, you’ll see a clearing in the bushes to the monument – facing the “Unite” graffiti. The grave is by the bushes. Return to the Control Point Supply Room elevator shaft and press the button again. You’ll now complete that phase and see an orange circle. Head back up and go to the location north-west of the monument. It’s along the path that leads up to Constitution Ave NW, crossing the border into the next region. Go into the area marked “Missing Persons”, turn to the right and look towards the crane by the shipping containers, you’ll see the hunter perched on top. Grab a sniper rifle or the sharpshooter, making sure that all the damage bonuses you can muster are on that weapon, and aim to kill the target in one shot. If you miss or don’t kill him, he’ll disappear. Wait a full complete in-day game cycle, before pressing the button at the monument. He should come back to the same location where you can try again. This one follows the same structure in the first stage at night, so salute those graves. Once you’ve finished that and looked at the monitor with the orange circle, head out of the monument and head just a tad north-west to in-between the two northern circular paths where they arch on the map. You’ll see a building on the map. Head to just a bit away from it as getting too close will make them disappear. This one can relocate without the need to wait but this is more difficult than simply resetting. If you do want to do this, just look out for if the HUD begins to have static, or if the music changes. Look towards rooftops for their location. Shoot to kill in one shot for your prize. Go to the south-west of the map and along Henry Bacon Dr NW, you’ll see a bunch of underground locations. Head to the southern most ladder, indicated on your map, which is outside the Lincoln Memorial. Interact with the laptop in this hideout to turn on a switch which has a map. This has a moon and an X written on it, meaning that you can only find this one at night. The location is along the southern side of the river heading towards the east of the circular Daniel French Dr SW. Along this path, there’s a large piece of scaffolding with a single lightbulb hanging from it. Shoot it and kill the agent that spawns through the smoke to claim the Ghoul Mask. Go to the west of the map, and head towards the circular buildings on F St. NW close to the river. The area should have a swimming pool nearby. Do the Jumping Jacks emote and two hunters will spawn. Kill them to obtain the Midas and Revenant masks for your collection. Head to the east of Washington D.C. and go to the road marked “Ramp“, which is close to Interstate 395 BN. It’s east of the safehouse furthest east. This has a memorial which features a lot of veteran names. Shoot out the light that’s shining onto the memorial to the left, step out of the water, and use a salute emote. This will cause the hunter to emerge from some smoke. Kill him and claim the mask. In the Downtown East area, just a little south of the Stronghold, there’s a courtyard surrounded by buildings. Find the mirror flanked by two doorways towards the south. From there, enter through and interact with the computer at the desk just in front of you. Turn around, head through the doors and run into the left door of the double set that were behind you. There will be a phone that you can interact with on the desks. Doing so will spawn the hunter in the courtyard for you to kill and nab that mask. This one is a pain as you’ll be going for three at the same time at nighttime. From the control point south of the Theater, head north into the water resource location that’s between Madison Dr NW and 7th St NW. Inside the park with the Christmas tree, head into the building and pull the lever on the left-hand side of the counter. Once you’ve done this, head to the Christmas tree and run around it a few times clockwise until the three hunters spawn. You’re in for a pig of a fight, but upon killing them you will get three lovely masks for your collection. From the previous one, head outside of the area and you may encounter a fourth hunter. It’s unclear at this stage how he appears, but he does seem linked to the others and is to the east of the three. Kill him to nab your 11th mask. Just one more to go. Go to the control point just off Pennsylvania Ave NW and head to the building opposite to the east. Head down the escalator, wrap around and up the second set to access the central part of the mall. Climb the platform nearby and look up to find four targets in the windows. They’re white backgrounds with a black head. Shoot all four targets to spawn the final hunter for you to kill and take the mask. That’s all of the masks, that you can obtain. Hopefully they won’t give you too much trouble. For getting the most out of The Division 2 in terms of performance, which could be useful in a unique setting such as the Dark Zones, head to our The Division 2 PC graphics performance guide.